Kitchen design and style continues to evolve, with open spaces and fully-integrated appliances favoured in contemporary Australian homes. Smooth lines and seamless cabinetry are in vogue, with ASKO Induction and Gas Cooktops leading the way. Kitchens are now social, entertaining spaces where ASKO appliance versatility results in amazingly diverse and delicious culinary options. Induction or Gas cooking; which is best for you? If you are building a new home or simply replacing an old cooktop, it’s time to choose an appropriate appliance. The cooktop you choose should match your needs and expectations, with one of the biggest decisions to make being the choice between a gas or induction cooktop. 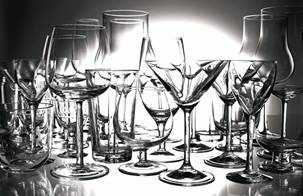 Both have advantages worth considering and the ASKO range is one of dedicated craftsmanship. You can even get the best of both worlds with an induction cooktop / Fusion Volcano wok burner combination for kitchen versatility at its best. · No excess ambient heat as energy is directed only to the cooking vessel. Induction cooktops save energy. · The cooktop remains cool while heat is conducted only through the cookware. Induction cooktops are safe. · Safety features of induction cooktops include magnetic induction elements that won’t heat most items accidently left on the cooktop. · No power loss even during a blackout. When using gas, you can keep cooking even if the lights go out. · Low heat emission, allowing the entire kitchen to commence cooling down as soon as the gas cooktop is turned off. · Accurate and immediate cooking temperature adjustment that is visually aided by the gas flame. The above considerations are just some ASKO Cooktop advantages worth considering. 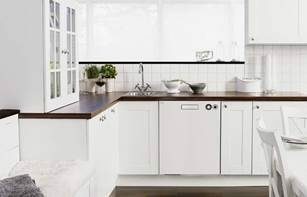 Every ASKO appliance satisfies dozens of specialised cooking tasks that make your life easier. 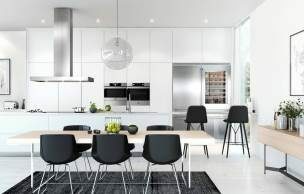 Modern Australian kitchens are expansive, and our climate is conducive to indoor and outdoor entertaining. The kitchen forms an important link between the two spaces, so a 90cm-wide cooktop, such as the ASKO HI1994M Pro Series Matt Induction Cooktop for example, is an attractive option. 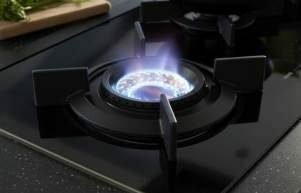 What are the advantages of gas cooking? ASKO Gas Cooktops remain among the most popular, particularly with people who enjoy BBQ and cooking over a flame. Asian-style chefs also appreciate the immediate control gas provides, and the addition of an ASKO Fusion Volcano wok burner will transform any cooktop into a cooking powerhouse. All ASKO Gas Cooktops are constructed using sturdy cast-iron and stainless-steel components wherever possible, making them easy to use, easy to maintain, and long-lasting. Is induction cooking cheaper than gas? This will depend on the appliance you choose and the way you use it. With dozens of appliance options available, there is a product just right for any type of household. In a multicultural society, your dinner guests might dictate the way you cook or the amount you need to make, and your induction cooktop, with adaptable cook-zones, is always ready for immediate action. On the other hand, whipping up a quick stir-fry to feed the relatives is incredibly fast in a multi-ring wok burner. 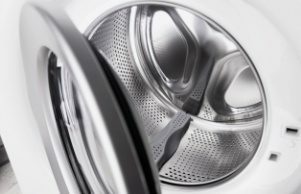 Check out the energy-star ratings of ASKO appliances, and you will begin to appreciate just how much you can save. What should you consider when choosing between gas and induction? Mostly, your decision should come down to personal preference, although there are other factors worth considering. For example, induction cooktops only function using special induction cookware or quality cast-iron or stainless-steel cookware. Regular cookware won’t respond to magnetic induction, and will be useless on an induction cooktop. 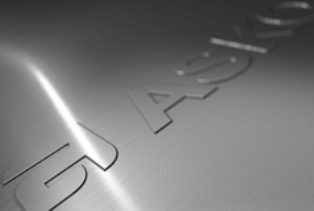 At ASKO, you can choose a gas or induction cooktop, or even a combination of the two, and approach meal preparation your way.